Firefighters working overnight on the Beacon Hill Fire east of Grants Pass chased down and extinguished a handful of spotfires. 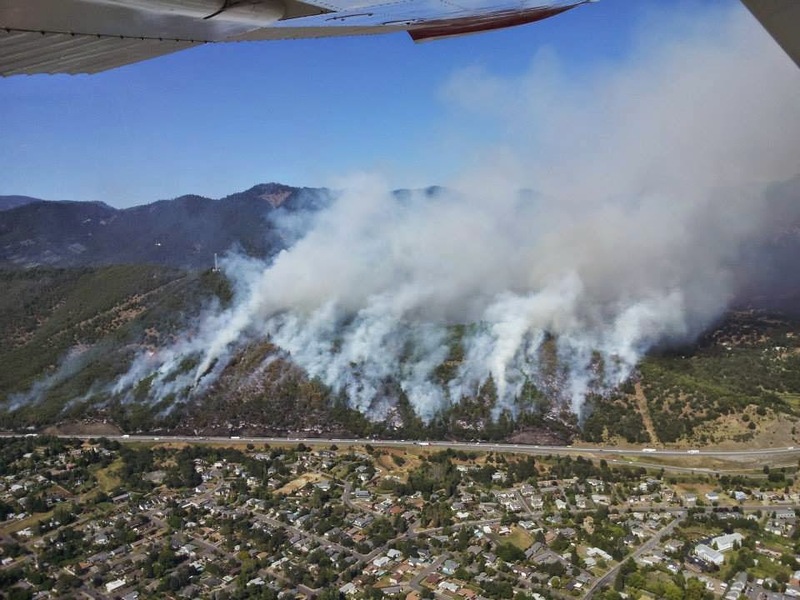 The crews made progress on improving the fireline, burning out unburned fingers of fuel inside the fireline, and mopping up hot spots near to the fire’s edge. The size of the fire was revised upward to 115 acres. Today, approximately 50 firefighters will be working to contain and extinguish the wildfire. Four fire suppression crews, four engines and two water tenders have been assigned to the fire. The roadblock on Jones Rd. was removed yesterday at 10:00 p.m. The excellent roadblocks that were established yesterday afternoon were staffed by Grants Pass Public Safety officers and members of Josephine County Search and Rescue. Video: Short clip of Beacon Hill Fire from helicopter.